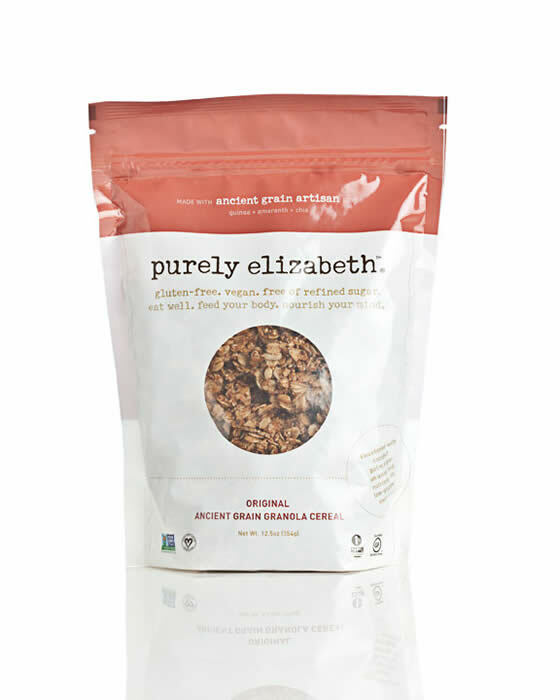 Purely Elizabeth products are delicious, pure, home-baked goodies. All products are gluten-free, vegan, non-GMO project verified, and sweetened with organic coconut sugar (which is a low-glycemic sweetener that we love - only 35 on the glycemic index). This cereal is made with all natural, organic ingredients including quinoa, amaranth, chia seeds and raw virgin coconut oil. We love that they use coconut oil as it is a medium-chain fatty acids that get used as energy rather than stored as fat. This company donates 1% of sales to non-profit organizations striving to help the health of our planet and future generations Purely Elizabeth believes that “good health begins with what you put into your body. When you eat better, you feel better.” A simple yet important concept that we, at the Whole Journey, live by.